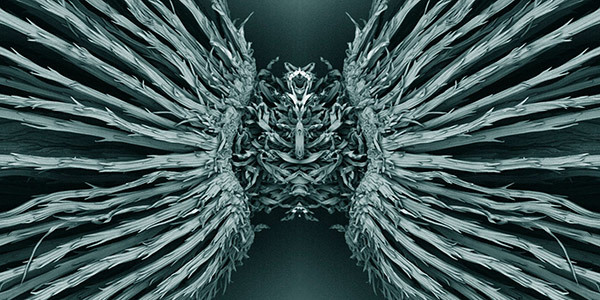 A new album of dreamlike music, distilling my latest work with ancient instruments and bespoke electroacoustic techniques (due for release 30 March 2019). 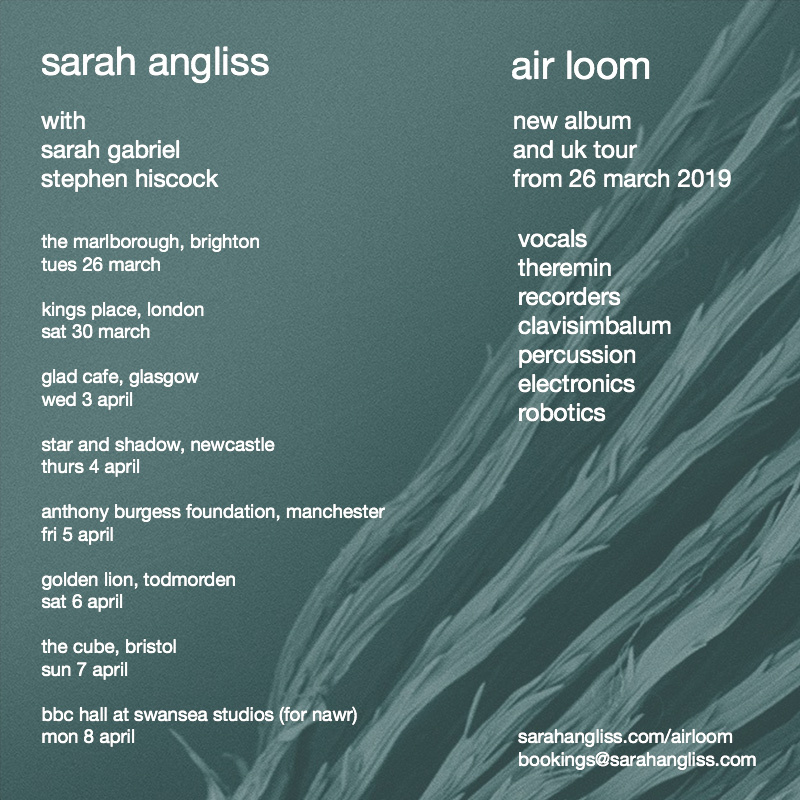 From 26 March I’ll be touring the UK, performing Air Loom live with with vocalist Sarah Gabriel and percussionist Stephen Hiscock. Featuring voice, theremin, recorders, percussion, robotics, electronics and a rarity, the Latvian clavisimbalum, centre stage. I’m very excited to be make this tour the first outing of my new music for clavisimbalum. 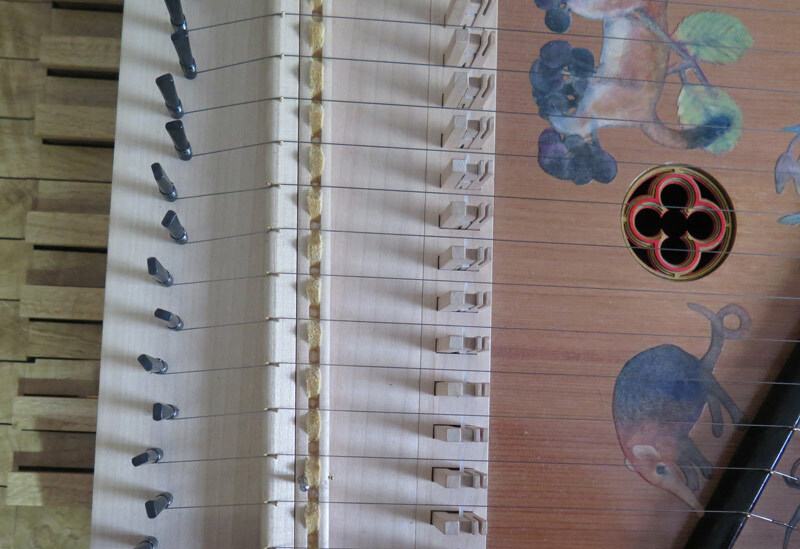 This rarity is a sonorous, fourteenth-century cousin of the harpsichord. Its plucked, soft iron strings ring with a rich reverberanace – a sound that hails from Eastern Europe and the Renaissance court. Mine was hewn from bog oak in Latvia – it was quite a feat to bring it home via ship across the Baltic. 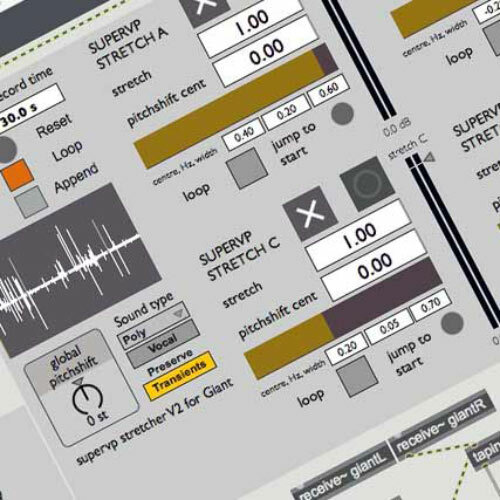 I’ve wired this clavisimbalum up to bespoke Max/MSP patches, creating a live sound that pulses with ever-changing, beguilling musical collisions. I’ve enjoyed exploring new musical ideas with this ancient sound. It’s inspiring to access a soundworld that’s shared by so many of us in Europe, the Middle East and beyond.